If you read our article last month on allotments then here’s a little bit of inspiration for Halloween and how to use a domestic water supply on your allotment. If you are looking to grow your own pumpkin in time for next Halloween then here are a few tips on watering. The groundwork for a big pumpkin starts in February with a planting hole lavished with a minimum of one ton of well-rotted horse manure. Pumpkins are big, greedy feeders. They prefer very rich soil that is well-drained and not too soggy. Water is by far the most important influence on a potential prize-winning pumpkin, accounting for a fluctuating 90 per cent of the weight. Don’t forget that if you haven’t got access to mains water then Drilcorp are on hand to install a borehole. During dry weather, the leaves draw moisture out from the fruit to keep growing, which reduces the size of the pumpkin. With the hose left to run for an hour every day – more if the weather is hot – the pumpkin will quickly start to plump up. During the most vigorous growth phase, a champion can bulk up 24lb a day. Yours might not gain weight this quickly, but the difference in growth from day to day will almost certainly be noticeable. Here are some interesting facts about Pumpkins.Pumpkins are usually orange but can sometimes be yellow, white, green or red. Pumpkins have thick shells which contain pulp and seeds. Scientifically speaking, pumpkins are a fruit (they contain seeds) but when it comes to cooking, they are often referred to as vegetables. They vary in weight but an average sized pumpkin might weigh around 13 pounds (6 kilograms). 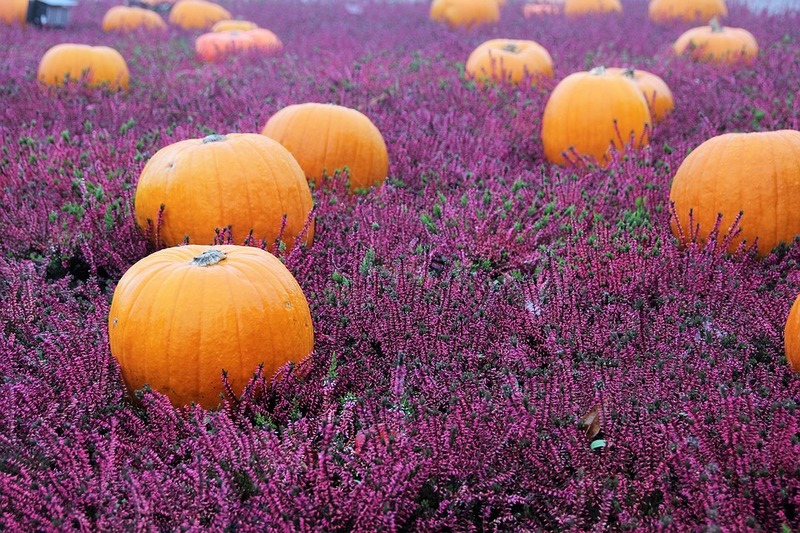 Giant pumpkins can be grown for competitions, with some weighing over 1000 pounds! (450 kilograms). In 2010, the world record was 1810 pounds! That’s huge!! Pumpkins are popular decorations during Halloween. A carved pumpkin illuminated by candles is known as a ‘jack-o-lantern’. The tradition is believed to have come from Ireland, where they used to carve faces into turnips, beet and other root vegetables as part of the Gaelic festival of Samhain.